Pact Audiobook Project – Media M.D. 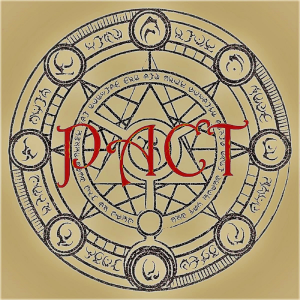 The Pact Audiobook Project is a free podcast reading of the web serial, Pact. By Wildbow, author of other works such as Worm and Twig, this story plunges into the depths of urban fantasy and pulls out the horrors hidden inside. The readings here, unless otherwise noted, are performed by Speedchuck, an up-and-coming narrator who wishes to gain experience by telling a story that he loves. We hope you’ll join in and experience this story with him, as well as diving in with the Deep In Pact podcast to get our reactions. Check out the audiobook on iTunes, Stitcher, Google Play, and Spotify. Or, you can subscribe directly to the feed. You can contact speedchuck via [email protected], or by tracking him down on reddit.